A stylish choice this Spring and Summer, the Baggies range from Patagonia is full of colourful and comfy shorts. 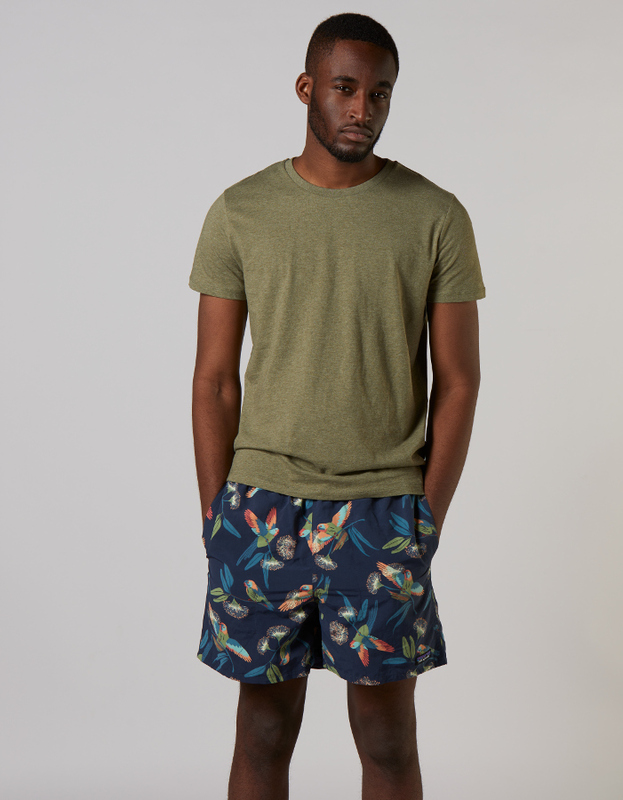 These shorts come with the Parrots design; decorated with fun, colourful parrots against a versatile, navy-blue background. The nylon used for these shorts is 100% recycled. Patagonia are striving to completely cut out virgin nylon from their products – cutting out 92% from their products. These shorts are coated in a special durable water repellent finished and come designed with handy vertical pockets too. 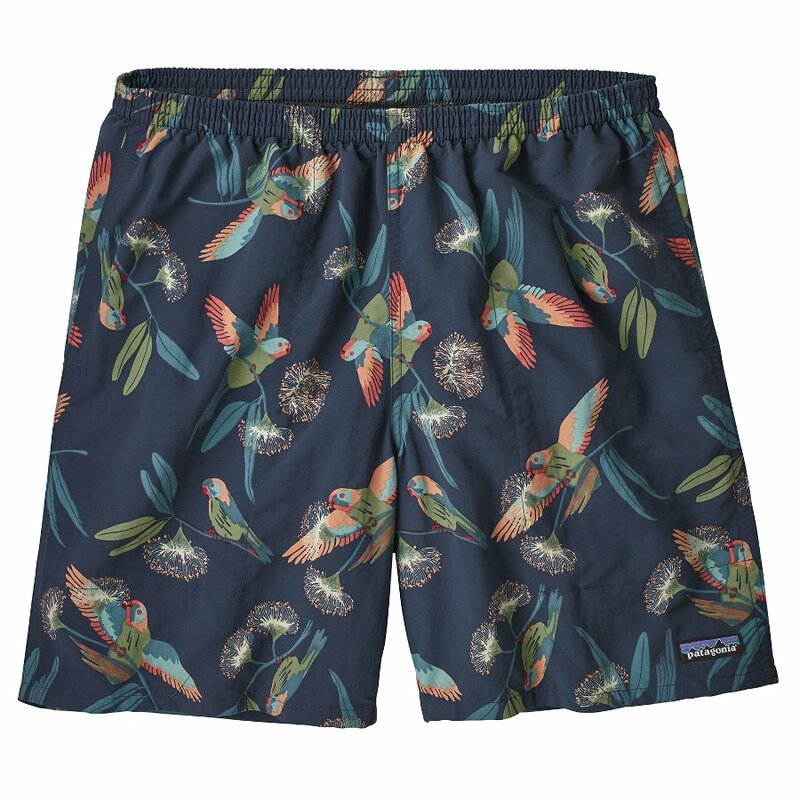 The Patagonia Men's Baggies Shorts - Parrots product ethics are indicated below. To learn more about these product ethics and to see related products, follow the links below. 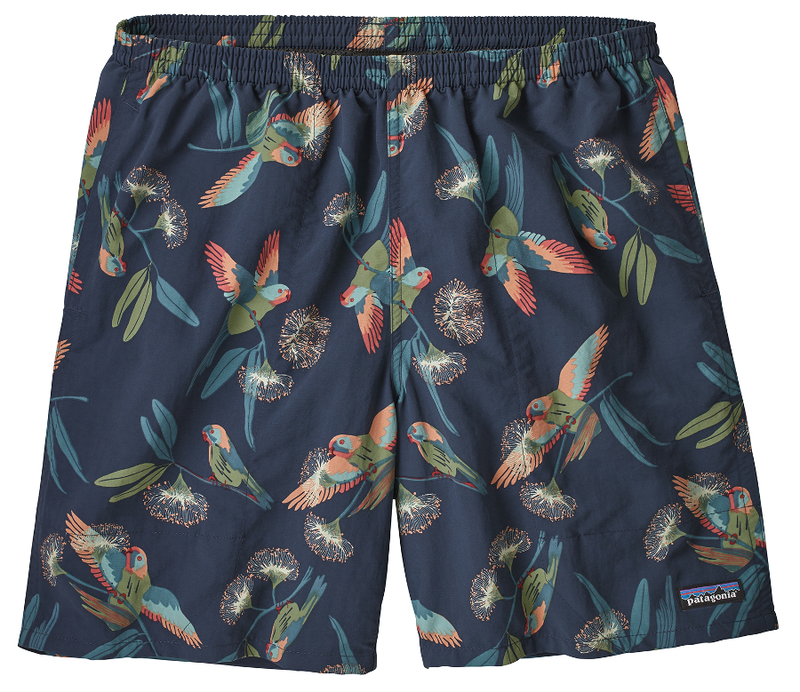 There are currently no questions to display about Patagonia Men's Baggies Shorts - Parrots.